Rocky Mountain Helicopters Inc.; crashed at Stateline, NV, 3 on board slightly injured. 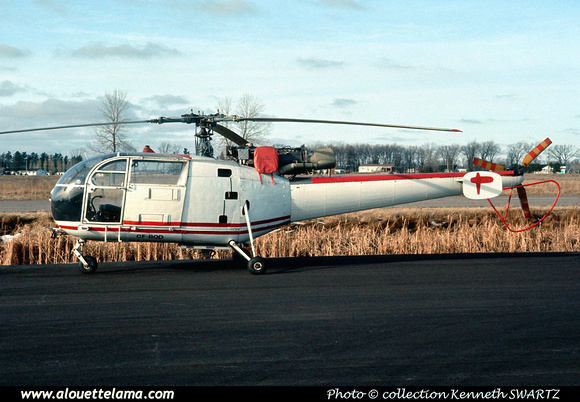 CF-BQD Eurocopter (Aérospatiale) SA316B Alouette III MSN 1910 - Arnprior, ON - CNP3 - Photo Kenneth Swartz collection. Dernière mise à jour/Last update : 01-03-2012. L'usage des logiciels Firefox ou Safari est recommandé. The use of Firefox or Safari browsers is recommended.